Pursuing cards from specific teams is one of the more common ways to collect. While the collecting of individual cards to complete a team set may not be quite as popular as it used to be, the manufacturers (and perhaps, more appropriately, the distributors) of early sports cards knew the importance of fandom. Specifically, people weren’t just going to be interested in collecting cards of random players. Rather, they’d be much more interested in collecting cards from their local neighborhood teams. While team set collecting is still around to this day, the idea of team sets has actually been around since the beginning of card collecting itself. Generally, the first recognized baseball cards are the Peck & Snyder trade cards from 1868-70. These were not sets, per se. However, they were certainly team issues as each one features a specific baseball team, the first one being the Brooklyn Atlantics from 1868. In short, the very first baseball cards were actually team issues. But what about individual cards part of team sets? Were those around, too? You bet. In fact, two of the earliest known baseball card sets of all time were actually both team issues. 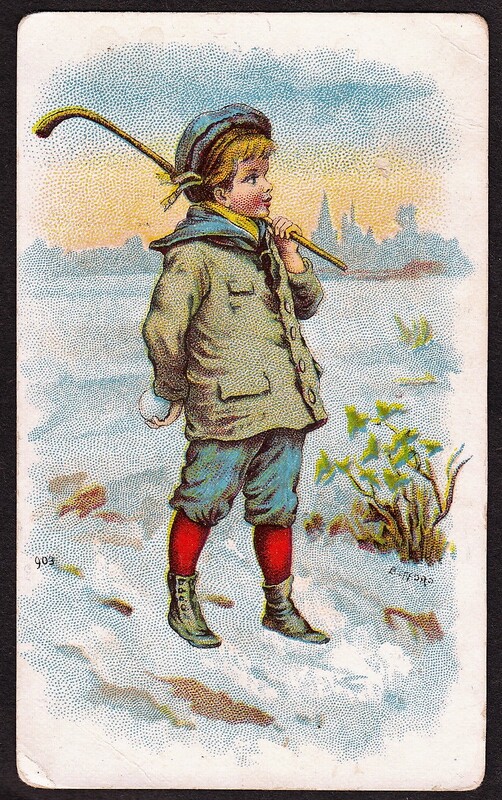 In 1886, a clothier company called Hancock’s printed what is often cited to be the first set of minor league cards, featuring players from the Syracuse Stars. Also in that year, Welton’s Cigars issued a set of the New York Giants, now known to us as the H812 set. Both are among the first trade card sets and among the first baseball card sets in general. Now, the most popular sets at the time were likely the massive N172 Old Judge set as well as the Champions issues for Allen & Ginter, Goodwin, and Kimball, produced in the late 1880s. Those were not team sets, however, those earlier 1886 team releases I mentioned set off a flurry of activity and other soon followed. In 1887, following in the footsteps of those old Peck & Snyder team cards, Kalamazoo Bats created a short team set. Unlike the Peck & Snyder issues, this was actually a set of team cards instead of only standalone issues. And that same year, Lone Jack Cigarettes distributed a special team set of St. Louis Browns cards. Incidentally, that also was a trend that we’d see later as the Browns set was a release to celebrate the team’s 1886 championship. Many more team sets featuring championship teams would follow later. And at times, some of the most prolific cards in the hobby were found in early team sets. The 1893 Just So Tobacco set would already be highly desirable simply for its age and the fact that it includes several big name players, such as Buck Ewing and John Clarkson. However, the set is most famous for its inclusion of the rookie card of the legendary Cy Young, pictured here to the left. While the aforementioned sets printed were tobacco or trade card issues, team sets weren’t only limited to those. 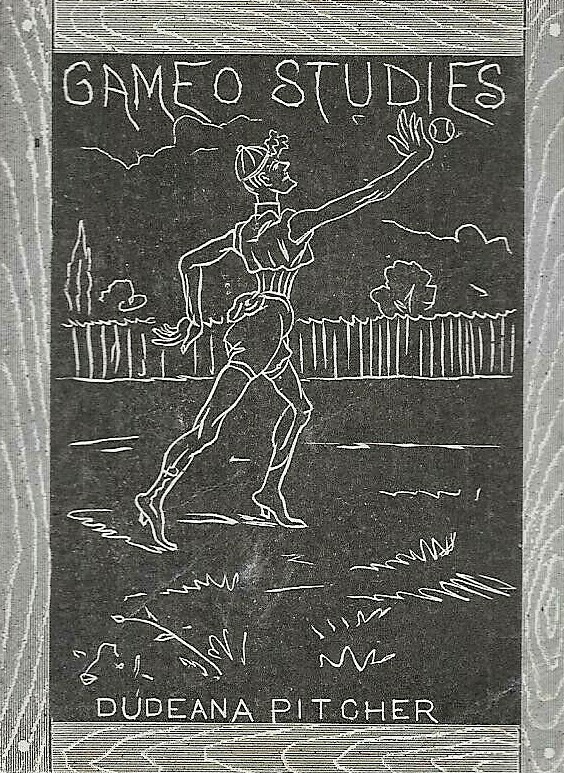 Take, for example, the 1887 Scrapps die-cut issue. For many years, this was believed to be a tobacco release. Instead, though, it was later proven to be a candy set — one of the earliest known ones of its type, in fact. That set featured members of the Browns and Detroit Wolverines. Those two teams were likely chosen as they played in the World Series that year. If that was truly the case, it would have been a later end-of-year release, obviously. So we know from these releases that team sets have been around since the beginning of card collecting. And as card collecting grew in the 1900s, the number of team sets and the types of collectibles was expanded. As we moved into the 20th Century, team sets remained popular. Card collecting really heated up by the end of the first decade with the distribution of many popular sets, including T206. But while tobacco team sets were present, such as the T208 Cullivan Fireside release featuring the Philadelphia Athletics, different types of cards were also becoming more popular. At the forefront of that expansion were the early candy/caramel cards, which were not often seen previously, and none were more popular than American Caramel sets. American Caramel was the heavy hitter when it came to early candy cards and they immediately jumped on the team set bandwagon. Their 1909-11 E90-1 set is one of the most popular candy sets of all time. But while that was not a team set, two of their more memorable sets are — the 1910 E90-2 and 1910 E90-3, which featured Pittsburgh Pirates and Chicago Cubs/White Sox, respectively. In particular, the E90-2 set of Pirates featured their 1909 World Series winning team. During this time, we also saw the (pardon the pun) rise of bread and baking cards. Several of these were also centered around winning teams. Among the most popular are the 1911 D359 cards, which were issued both with Williams Baking and Rochester Baking products. Other famous bread card releases included the 1910 Tip Top Pirates set (yet another championship commemorative issue) and the 1921 Baltimore Orioles set. Bread cards, as a whole, are not nearly as common as tobacco and candy sets. In short, that is likely because they were printed over shorter time periods and, as a great many would have been received quite a bit by shopping housewives less interested in cards, many were probably even discarded relatively quickly. Cards issued by publications, including newspapers and magazines, were also in on the team set act. Tying team sets to things like newspapers would have been fairly easy and, frankly, I’m surprised more of those sets weren’t issued. And, coincidentally, while cards issued by publications are not as popular as other types of cards, that category is responsible for one of the most important team sets of all time. In 1914, the Baltimore News issued a rare set of players on the Baltimore Orioles and Baltimore Terrapins teams. At the time, the Orioles were a minor league franchise in the International League while the Terrapins were a team in the upstart but short-lived Federal League. A player by the name of Babe Ruth was on the Orioles. That minor league issue of Ruth is one of the most expensive cards in the entire hobby. Pictured here on the left is an image of the Ruth. The card is rarely offered for sale but it is easily a six-figure or even seven-figure card, depending on the condition. Postcards were another type of cards that got into the team set mix. While there are numerous ones, one of the more famous series’ were the Dietsche Postcards sets issued from 1907-09. Those featured only members of the Detroit Tigers (and, in 1907, the Chicago Cubs). That set is one of the more famous team issues as it features what some collectors consider to be the rookie card of Ty Cobb. Even beverage cards got in on the act of team sets. One popular but incredibly rare set of cards was issued by a coffee distributor in Pittsburgh as the 1913 Voskamp’s Coffee set featured the hometown Pirates. The set is not loaded with stars but does include Hall of Famer Honus Wagner. Team issues continued into the 1920s and 1930s. Two things, in particular, are notable in terms of the later pre-war issues. First, as sports cards became more common, more and more people were printing them. Even non-professional leagues were using them as a way to promote their team and Canada, in particular, was a place where this happened quite a bit. Part of the reason for that is because baseball was starting gain popularity at that time in their country, which led to more leagues and teams being created. Many obscure sets were being printed in Canada. One of the companies responsible for several of these types of sets was Crescent Ice Cream, a Canadian ice cream company. Crescent distributed cards featuring mostly obscure, local Canadians playing baseball and hockey. Crescent sponsored a run of three hockey sets for the Selkirks Hockey Club and Falcon-Tigers Hockey Club in 1923-25. They also produced a set for the 1924 Hanbury Baseball Team, which won some city championships in the 1920s. Another Canadian set of obscure baseball players is found in the 1939 Kimball Automobile Club Trois-Riveries release. The team was independent and later joined the Quebec Provincial League. It’s yet another Canadian team set featuring mostly unknowns. Team sets were also roughly produced in other obscure sets, which sometimes included entire leagues. Another popular but scarce series from Canada, for example, is the 1930s Vancouver Peanuts sets. Those cards were distributed at baseball games played in the Vancouver Senior Amateur League. Distributed from 1932-38, those sets included a total of more than 100 cards. A second theme seen in some later pre-war issues is that some moved away from the standard trading cards and more towards other collectibles. Specifically, what you start to see a little more of in the 1930s are sets of photographs instead of traditional cards. Team sets sprung up in the 1930s and 1940s and many are not even cataloged. A popular series is, however, documented by Jefferson Burdick in his American Card Catalog. Burdick documented several sets of 1930s and 1940s Chicago Cubs photographs in his W709 categorization. He did the same with the W754 categorization, which was several sets of St. Louis Cardinals and St. Louis Browns photographs. And while team-issued sets were often the culprit for photographs, other types of companies also started shifting to them as well. One of the more popular team issues of the 1930s is the 1935 Detroit Free Press set (M120), a series of photographs issued by that newspaper. That set, as you imagine, included team pictures of the Detroit Tigers. Blue Ribbon Malt, a beverage company, also issued team photographs of the Chicago Cubs and White Sox, both in 1930 and also in 1931. Some companies even took it a step beyond traditional photographs. For example, the 1938 Sawyer Biscuit set featured team photograph sets, also for the Cubs and White Sox, that were mounted into a red cardboard frame. Team sets are still around to this day but they’ve been around for as long as cards have been printed.